Michelle has a PhD in Environmental Engineering and specialises in aquatic ecotoxicology and pollution remediation – the science of ecosystem repair from human impact. 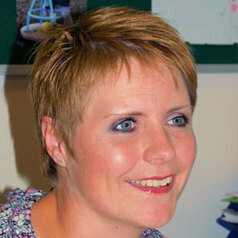 She is currently a Principal Lecturer and Environmental Programme Manager at the School of Earth and Environmental Science, University of Portsmouth (and Senior Fellow of the Higher Education Academy); previously holding positions at Fisheries Research Service (now Marine Scotland Science) and the University of Southampton. Michelle is an editor of the Cogent Environmental Science journal, is on the editorial board of World International, the International Journal of Earth and Environmental Science and Advances in Environment and Pollution Research. She has also edited special issues for Hydrobiologia and the International Journal of Zoology. Michelle has been selected to sit on NERC Research Moderating Panels and participate in NERC Scoping Workshops. She is an Expert Referee for the Research Council of Norway’s CLIMIT Funding Programme and is a reviewer for the NERC and British Council’s Newton Fund and Higher Education Academy's Teaching Excellence Awards. Michelle is President of SETAC UK Branch and a SETAC Europe Council Member, Chair of the SETAC Europe Awards Committee and Co-chair of the SETAC Europe Finance Committee. She is a member of the SETAC Europe Development, Education and Science Committees. Michelle also sits on the SETAC World Strategic Planning Committee.